Sorry, I meant to post this ages ago. 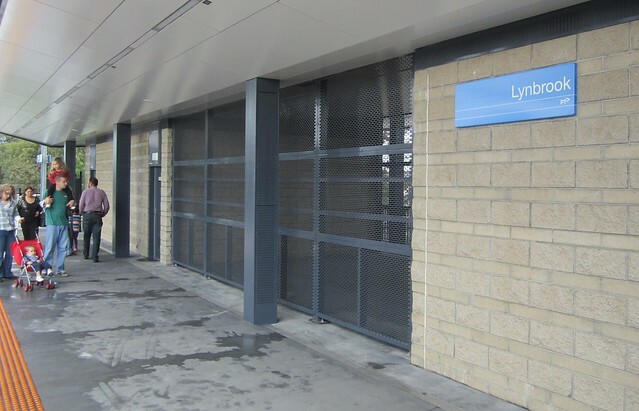 I went along to the official opening of Lynbrook station in April; there was a big turn out from the community, including local councillors and a couple of MPs, as well as media. And a sausage sizzle! I had an interesting talk to the architect, who said they’d been mindful of making it fit into the surrounds, to make it feel safe by including lots of open spaces and good sightlines, and to make it resistant to vandalism, by using almost no smooth surfaces. This latter point is quite clever. In contrast, Westall is all flat grey surfaces – I’m amazed it’s kept so clean. 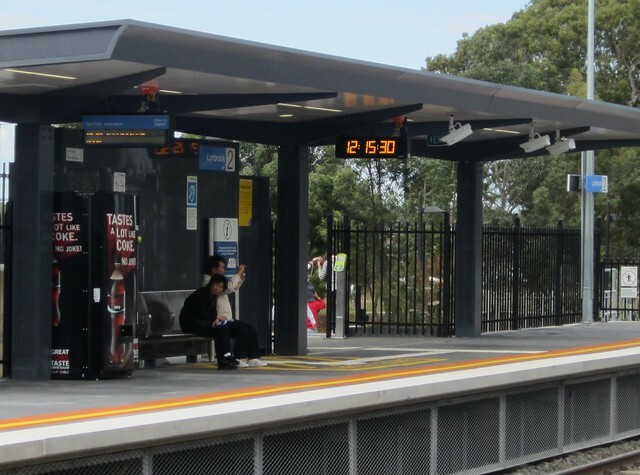 It also sounds like platform Passenger Information Displays (PIDS) will now be standard on new stations, including unstaffed ones like Lynbrook. Makes me wonder if existing stations will be retro-fitted with this technology. Surely it must come into play at some point, particular given those with hearing difficulties can’t hear the current loudspeaker announcements or “green button”. He also said there had been considerable challenges building the station, such as moving signalling, re-doing track and overhead, removing the cant on the track, and re-configuring electrical systems to ensure enough power to start trains after a stop. They’re also installing a new substation nearby soon. It all added to the cost and construction time of course; it wasn’t as simple as building a couple of platforms. Several locals said to me they’d been looking forward to the station opening, and would switch from driving to work to catching the train. Proof, if any is needed, that the provision of useable public transport gets cars off the road. I’m not about to claim Lynbrook is perfect, but clearly some thought was put into the design, and clearly the locals are pretty pleased it’s opened. Let’s hope it serves them well. So railway stations just don’t pop up overnight. An interesting summary of the birth of a new station. Incidently, how much then would a new Southland station cost do you reckon? 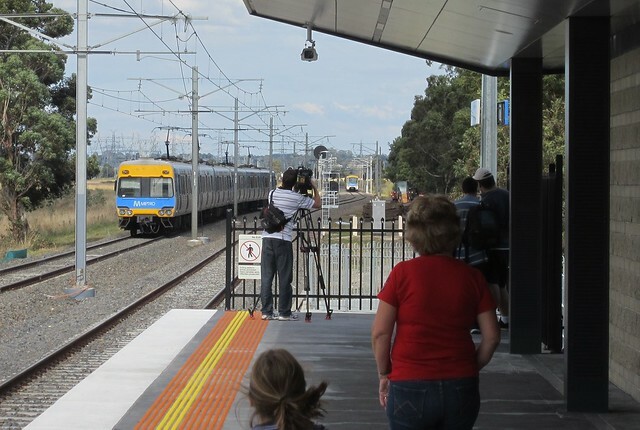 It looks better and more substantial than the new Cardinia Road station. Why does it get a clock and PIDS when most premium stations on the Frankston line do not have them. @TimTam – because if you’re building something from scratch you may as well wire it right away. Retrofitting is always a bit more difficult. No doubt they should retrofit, but complain that they haven’t, not that they’ve installed something that should be standard at a brand new station. I wanted to see what the car-parking and bus interchange setup was looking like. Unfortunately Google maps still shows a bridge and grass but no station! They had clocks at all of the stations on the Frankston line, before the hooligans broke them all. The lack of cheap, essential technology like passenger information displays across the network is one of the more bewildering things about the Melbourne train network.